Dpreview.com has been able to put their hands on the new Olympus E-620 DSLR camera and have written a preview about their first impressions of the camera. Dpreview seems pretty excited about the new DSLR and even calls it a Canon 450D-killer. It will be interesting to see if the E-620 is able to live up to that hype when we see the first pictures from it. 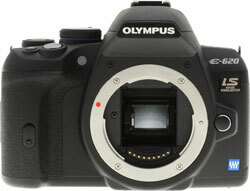 Read the full preview of the Olympus E-620 by dpreview.com here.